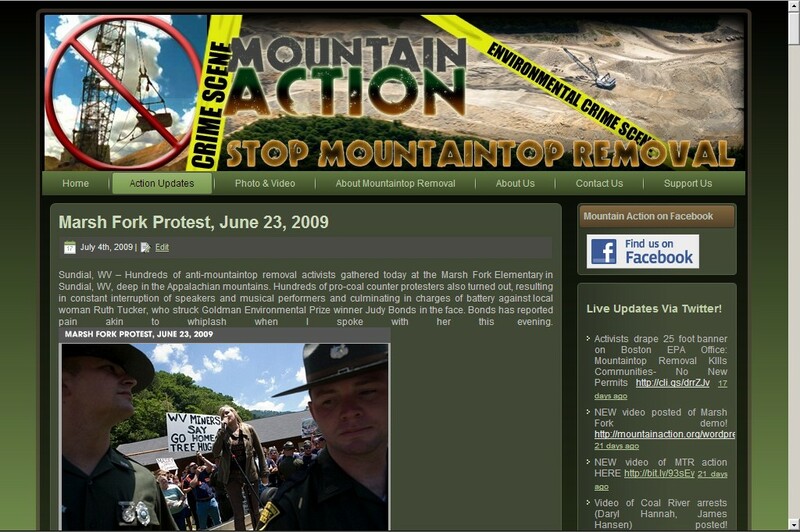 A daring action bottomlined by Rainforest Action Network in collaboration with other groups in which a dragline was scaled on an active mountaintop removal site. This site featured live from-cellphone feeds to display information directly from activists performing the ascent. Auto-Twitter posting kept interested followers in the loop!